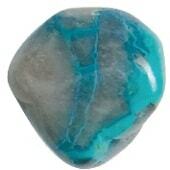 This solid light blue to blue green stone has a very gentle, soothing, friendly energy. It is considered the “wise stone” or “sage stone“, as it offers up its wisdom and sagely advice to those who pay attention. 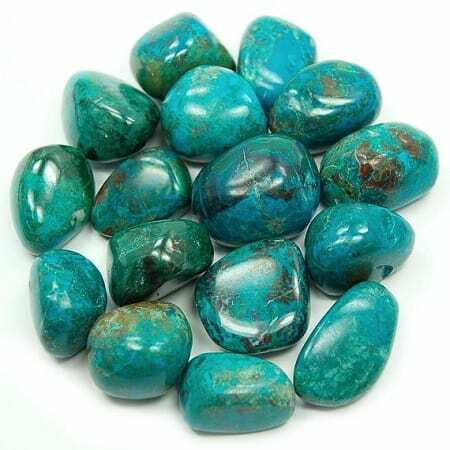 Excellent for the Heart Chakra, this stone is used to flush and heal “heart blocks” such as loss, hurt, guilt, fear… This stone helps us to find “peace in our hearts” Use this stone for allowing what you need into your life. It helps us to be flexible, self-forgiving, and patient. It keeps one in light, love, and healing on a daily basis. Large stone measuring 1″ to 1 1/4″. Each stone is different and unique. Andrew will choose the right one for you! 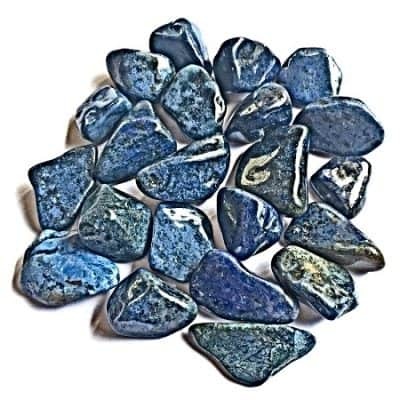 Utilized at the Throat Chakra, it assists in expressing our feelings through verbal and artistic creativity. Helps one feel more comfortable speaking the truth. 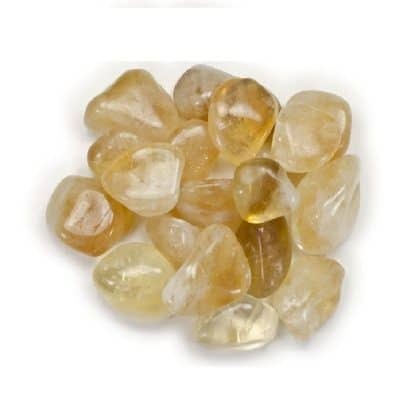 This stone helps develop personal confidence. 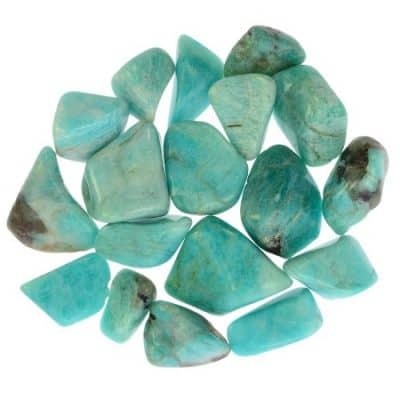 Because of its blue green minerals, it has been used for helping with dreams and dream work. 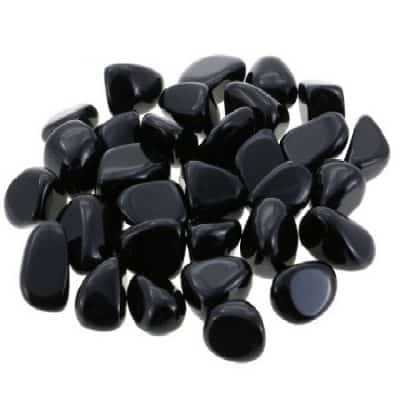 Known as an Earth healing stone, for its elements help enrich the planet. It is therefore, one of my favorite “garden stones” and reminds you of a natural forest, a distant mountain top or the stillness of the sea.